Last week we told parents to find an expert to evaluate your child and make strong recommendations about your child’s communication needs. We also said… If you, a parent says, “My child needs an iPad”, that’s the last device the school will consider. Even if you were an AT expert, it would be hard because you are the parent first, and schools do not want to “give in” to parents. Sounds as if he may have run into that “brick wall” of resistance at schools. We do say parents are experts on their children. But from the perspective of the school staff, parents are outsiders. In our articles and books we write about “school culture” that includes the beliefs and assumptions held by school people. We also say parent-school conflict is normal, predictable, and inevitable. Unfortunately, school culture prevents school staff from realizing that sometimes, parents really do know what their children need. Can you force educators and school psychologists to change their beliefs? No. As the parent of a special ed child, your job is to negotiate with school staff and secure a good quality special education program for your child. As a negotiator, your single most important tool is to understand and be able to explain the position of the “other side” as well or better than your own! That’s why we teach parents how to use advocacy tactics and strategies that will help develop a different relationship with the school and the IEP team. This is also why a comprehensive evaluation by an expert in the private sector is so important. 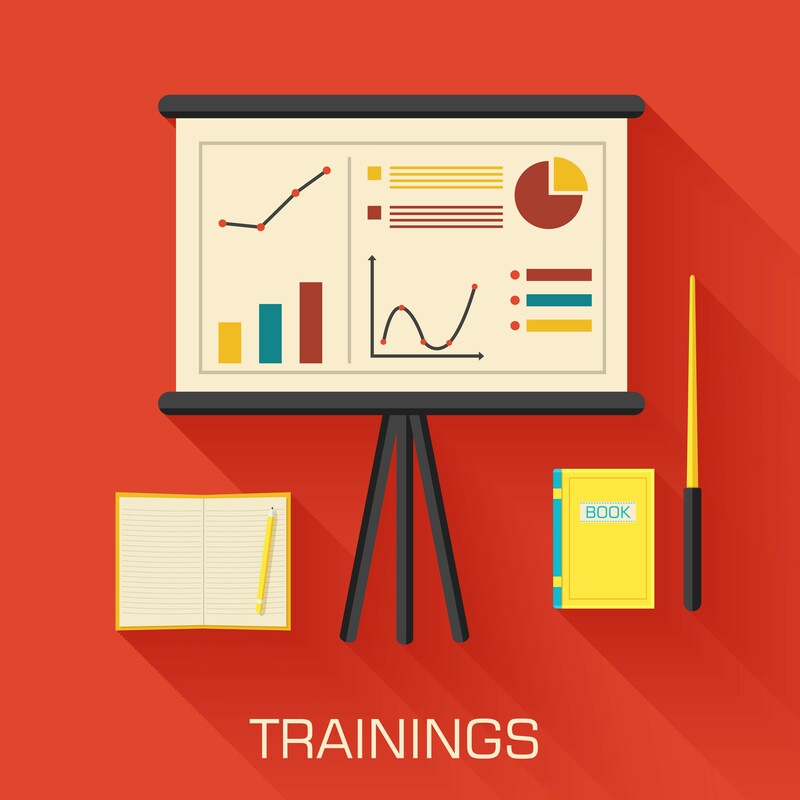 The evaluations used to make educational decisions must contain accurate information about what your child really needs – including changes that need to be made in curriculum, teaching methods, and/or school structure. The only people who will provide this information are experts in the private sector. We recommend that parents ask the evaluator to attend the IEP meeting to discuss their findings, explain their recommendations re: the type of program the child needs, and to answer other questions. It’s more difficult for the team to “consider,” then ignore, an evaluation when the person is sitting at the table with them. 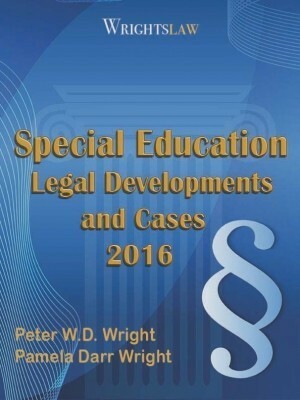 The Special Education Survival Guide – Wrightslaw: From Emotions to Advocacy, 2nd Edition. 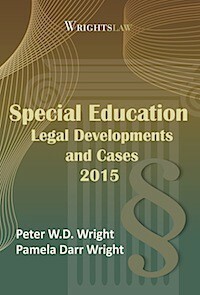 In Chapter 4, you learn about gatekeepers, special education teams, and one-size-fits-all programs. In Chapter 5, you learn about obstacles to success, including myths, rules and school culture, personality styles, how to deal with difficult people, and steps you can take to minimize or resolve problems with the school. 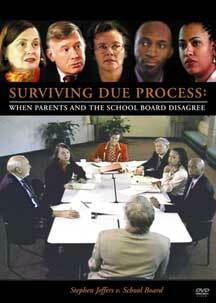 In Chapter 6, you learn why parent-school conflict is normal, predictable, and inevitable. You learn the most common reasons for conflict, and strategies you can use to resolve conflict. Chapter 7, you learn how routine problems can erupt into crises, common pitfalls, and steps you can take in a crisis to improve the odds for a good outcome. 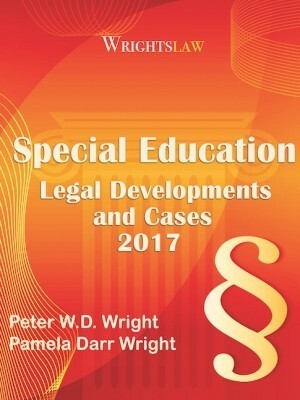 This entry was posted in Advocacy, Independent Evaluations and tagged IEE, Law and Advocacy Training, Parent advocacy, School Culture by Wrightslaw. Bookmark the permalink. 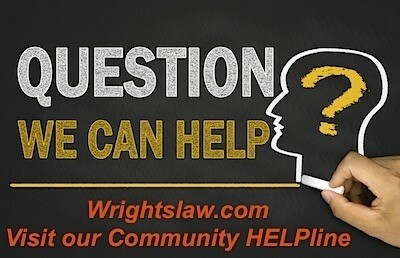 OK, I admit to still learning, I’ve got the Wrights Law books an keep going back and forth, but can’t find my answer. The question is – Last May, 2012 an IEE was requested, the Evaluator was found, when he went to the school to review my child’s records, indicated to the school, he needs at least a 504. The school then cancelled the IEE. Then waited til Sept. 2012 to do a 504. The IEE that was requested by the parent was never done. Is this right, OK? Or should we be getting the IEE still? I agree that an independent evaluation is essential for understanding a child’s learning profile and needs. Generally, schools evaluate to determine eligibility. 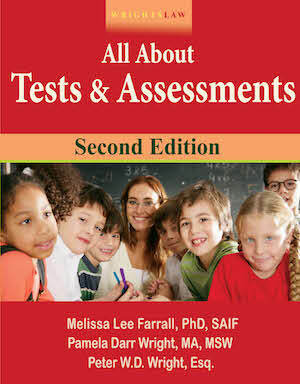 Independent evaluations are usually more diagnostic and comprehensive. In my experience, schools make recommendations based on their resources and past practices, independent evaluators make recommendations based on the needs of the child. I have seen a range of district responses to IEE’s from “relief” that they have a better understanding of the student to complete denial. It is interesting to me that the district’s that are the best evaluators are usually the same districts that will consider the outside reports. It seems that the culture of the district is most important to how much a parent is able to participate in IEP’s, how evaluations are used to build IEP’s. This is a great site! Advocating for our children even at the college level can be frustrating at times; but I was wondering if there are any online resources where a parent can find information about any supportive services that parents can take advantage of that would be low cost? Sometimes, we as parents can help the school and our children by supplying outside supportive services. Parent – Are you suggesting that if a child gets and IEE then all of a sudden the child will move to the top of their class? That sounds a little silly. P.S. What you have suggested is not research. Ted, I think the State Department of Education tracks the number of students with Special needs who graduate high school. Our school district Director of Special Education, the Lead Psychologist and other District staff signed a statement that indicated that my child had made 0% academic improvement and no school work had been accomplished by the end of the school year. After obtaining an independent evaluation, and getting services that cost a lot less than the two attorneys that the district brought to the IEP meetings, my child graduated in the top ten students of his public high school class of over four hundred students. If you would like to graph my child’s progress, draw a vertical line on paper. The flag at the top of the pole is success. Still waiting for some research. Write a letter to the ARD committee, and state that in the last ARD, they completely ignored the outside evaluators’ recommendations, which you feel were not addressed adequately. Remember Prior Written Notice? You need to ask for what you want in a written format and require the school to provide prior written notice back in written format. The reasons for the denial cannot be budget based. They have to list other options they considered, and why they did not implement those as well. 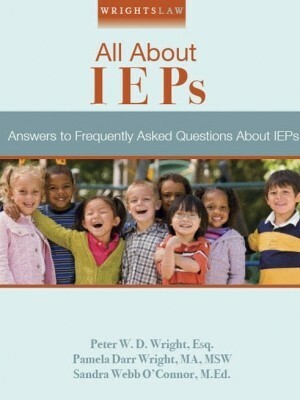 If they insist their IEP is best, collect good documentation on whether or not their plan is working. If say, in 6 months, the data shows your child is not making adequate progress, then you have a basis for them to consider other recommendations. If they refuse, hire an attorney and file for D.P. 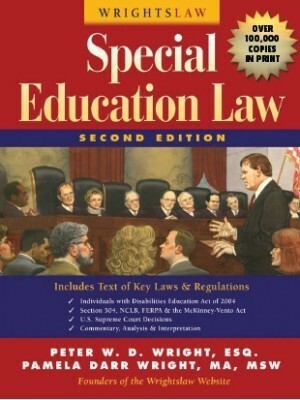 SpedEdTeach4/20yrs – I have unfortunately had to get many outside evaluations for my children because the school’s evaluations were not comprehensive. Once I did this the school was more willing to provide services for my children. I agree that it can be expensive and that school’s are not fully funded. The government should fully fund the laws they create however money is not a reason to deny services and as far as cost per child, have you priced the cost to society per person that does not get FAPE ( not a CADILLAC education as you suggest)? It is many more times that of what it costs at the school age level. That is something to think about. Having an independent evaluation is essential to creating measurable goals. Most public schools offer similar explanations for poor performance scores. Either the child is not motivated or the parents are not doing a good job raising the child. Neither of these require the school district to spend additional money to correct. You would not buy a car without researching the Kelly Blue book value and comparing that figure to the asking price. The third party has no vested interest in misrepresenting the value. The Public school district has a vested interest in turning their head to your child’s educational needs if it cost them additional money. The next time you read the age old story book Hanzel und Gretyl to your child, just think about using bread crumbs as navigational tools is the same as ommitting an independent eval. SpedEdTeach4/20yrs, Gee, did you know it’s illegal to deny appropriate services because you think they’re too expensive? Did you know that our kids, no matter how society or the school system views them, are just as important to us as everybody else’s kids? Dad2Luke, right there with you. The p.s. is like a runaway train. We had a disagreement over the disability code in the last IEP meeting, only to find the p.s. choice of disability code on the draft IEP. We voiced our objections again and the case mgr. informed us that when there is a disagreement – the p.s. trumps all. 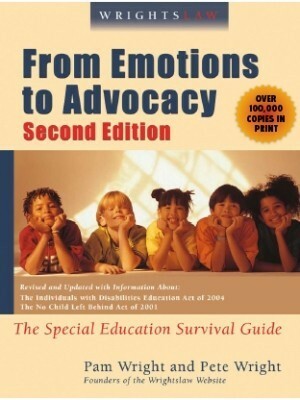 So, based on one standardized IQ test our child went from speech and language impaired to intellectual disability. Hello, life skills.Goodbye, real learning. When we objected to the new disability code based on the ratings scales that indicated he has autism, they said he probably has both and that the new program they slotted him into would work in any case. OMG! It’s not just hard ball – it’s dirty pool. And people like Nate Levenson and other bean counters just fan the flames. 100% of the outside evaluators recommend services, including those contracted by our school district. One person who is on retainer with a neighboring school district recommended services. We were told that she did not understand the criteria for qualifying for services, nor what services can be provided by a District. Brick wall does not begin to describe it. My child received an independent evaluation recently and I was stunned at the findings. The physician that evaluated my child had me bring in all of the previous evals by the school psychologist, our physician, and used all those findings, in addition to his own evaluation and testing and issued his findings. In some areas, the school was absolutely correct. But, the school district refused to provide speech, OT and PT for my child, and our evaluator determined those therapies were an absolute necessity for my child. We immediately provided our district with a copy of the eval. A year later, we are still trying to get the district to provide our child with therapy. I can only assume that the Spec Ed Teacher above must work for an ethical district, because my district is not! Funding cannot be used as a reason to deny services! Wow! Your completely negative response about schools not listening to parents and outside evals being better took me by surprise! There are so many counter points to make! 1. Outside evals are not always best, they often fail to include any information from the school and make recommendations that are nearly impossible for a school system to implement; 2. Money is an issue for schools-when it can cost up to $45,000 a year to educate a child with special needs versus the $2500 allotted for regular education students that’s a lot of money and in todays world of lack of funding you can’t fault a school for not wanting to provide the “cadillac” of serves; 3. it’s a TEAM effort-Parents are a part of the TEAM–everyone needs to remember it is a team-each side can’t do it alone. They need to work together in the BEST INTEREST of the Child!!! 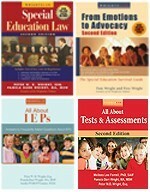 Can you point me to any research that an IEE “provides accurate information about what a child needs” as apposed to an evaluation by a licensed school psych, slp, ot, pt, teacher, and parent team that understand what schools do on a daily basis. One peer reviewed bit of research would be helpful. Thanks. The “Brick wall” is right. The culture in my District is to ignore all outside opinions, including outside evaluations. I have grown to believe that the management culture at my District is totally money driven. If you want services, you’ll have to make providing services to your child cheaper than risking losing at due process. There is no management accountability for the kids’ outcomes, they only care about balancing the budget.